I don't know about you, but I honestly sometimes find it really hard to find great skincare pairings. Usually I end up with something that makes my skin a little oily and something that dries it out a little. Rather than working together as you might imagine, this usually sends my skin into overdrive as it's both encouraged to and discouraged from creating its natural oils. UGH. Cue all the spots. 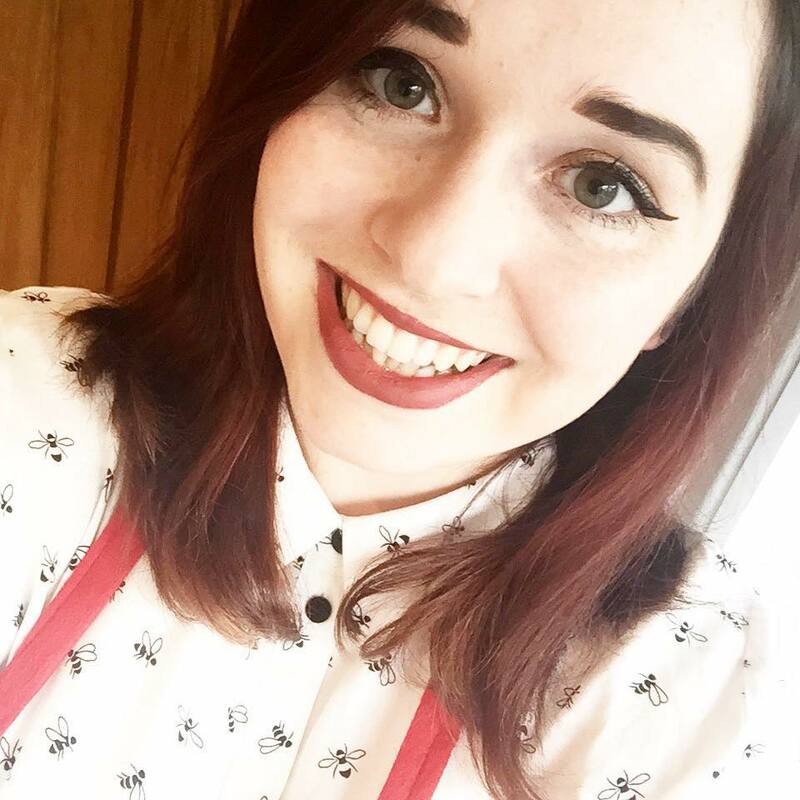 So, I've been fiddling around with my evening skincare routine for the past few months trying to find something that really works in terms of helping my skin lock in moisture without letting me wake up to a pool of face grease every morning. Grim, but you know what I'm talking about, right (please)? 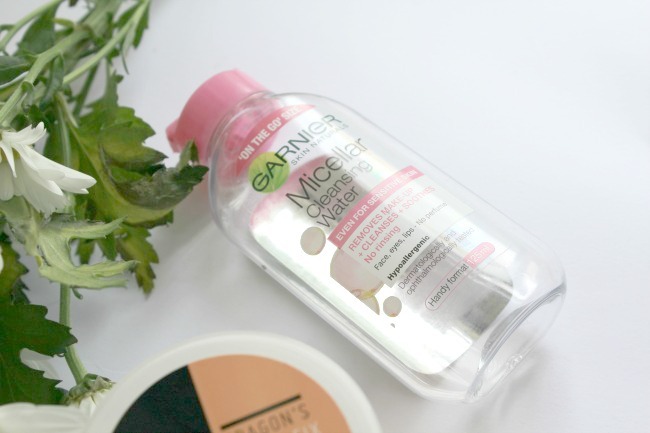 Basically I've been using my Garnier micellar water (yes I have finally jumped on that bandwagon) which I picked up as part of my birthday beauty haul to remove my makeup and get rid of any dirt. 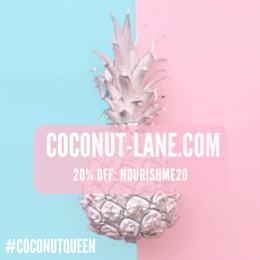 This hasn't irritated my sensitive skin at all, or even my eyes, which usually end up red, itchy and a little sore from most makeup removers. I tend to go for more creamy makeup removers, so I've also actually been really shocked at how well this has been working! After I've got as much as my makeup off as I can, I then wipe one of Nip + Fab's Dragon's Blood fix pads over my face, ensuring I get into all the nooks and do my neck as well. 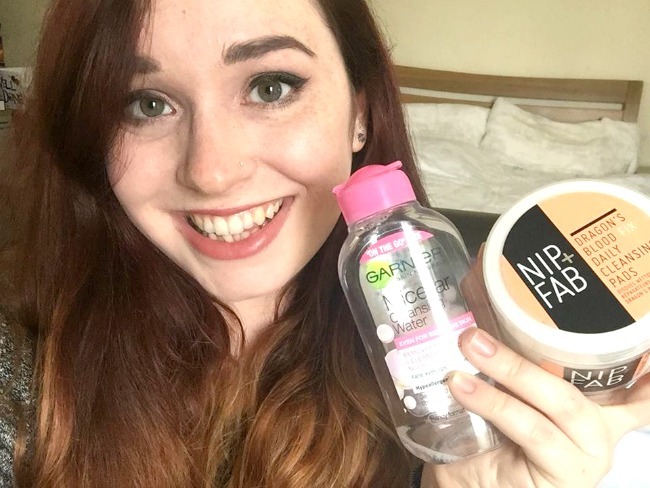 For so long I had such a preconception about Nip + Fab being quite a pricey drug store brand, but actually a full-sized tub of these comes in at just £4.97. 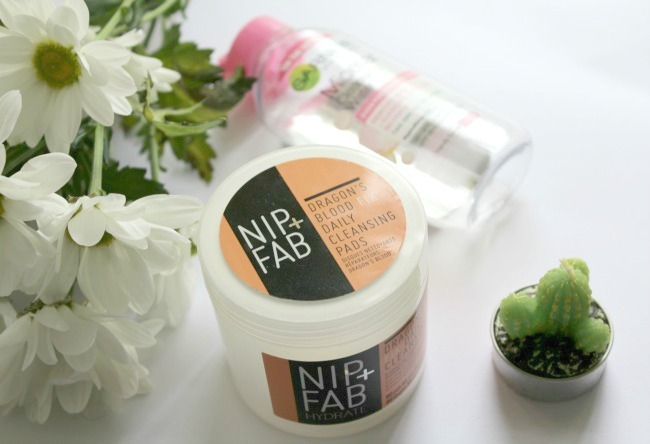 The dragon's blood range from Nip + Fab is aimed at hydrating your skin and making it a little more plump, and I have to say that it really does do what it says on the tin, so to speak. These have really been helping to lock in my skin's moisture overnight so that my makeup actually goes on the next day without creating any dry patches. The two together have really been doing wonders for my skin in terms of helping to keep is cleansed and hydrated. I never wake up in the morning with mascara stains or skin that even I don't want to touch, let alone anyone else anymore. So basically, it's a big thumbs up from here, and if you've got combination skin I would definitely recommend giving this combo a whirl! 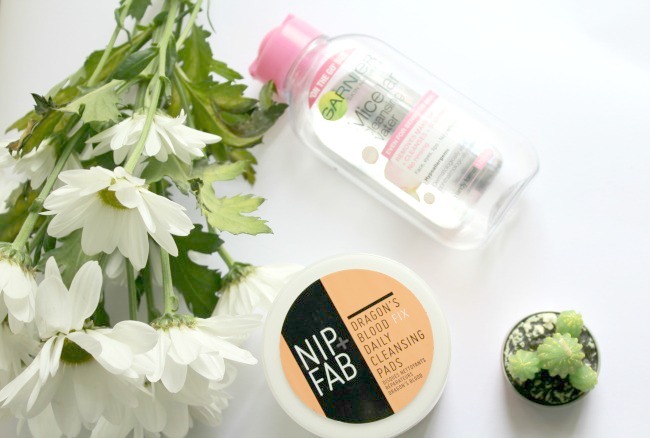 I haven't tried anything from Nip + Fab, but I want to! I lovee the Garnier Micellar Water! 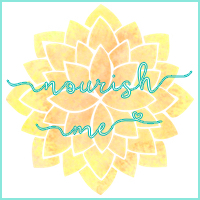 They are SO good, and they're packaging is totally insta-worthy haha!